9607 N Campbell Station Rd. Water into Wine is truly a unique, social gathering place that has moved on to the scene in Farragut. You don’t have to love wine to enjoy this establishment, but they will be able to find you a wine you enjoy before you leave. 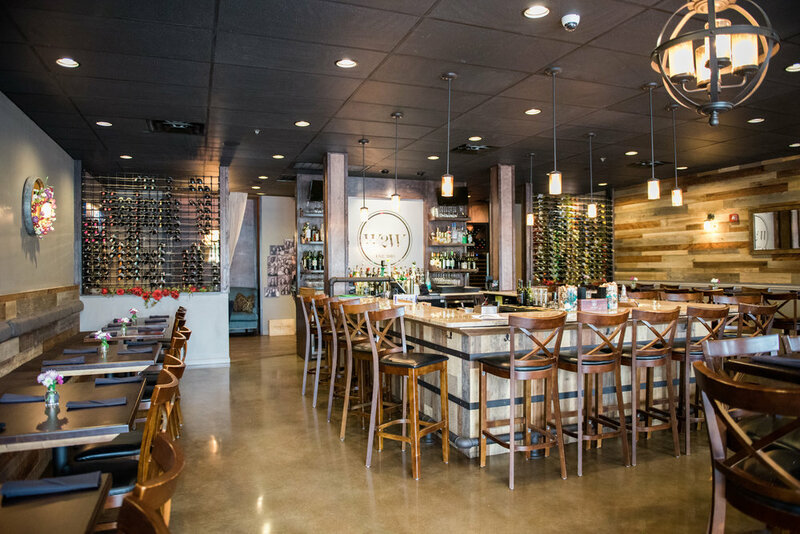 Currently, they have over 180 bottles on their menu and 70 are available by the glass, more than anyone else in Knoxville. Wine selections and varietals from all over the world and at every budget, makes their list so exciting. The liquor offerings are impressive as well. Ricardo, the bartender, infuses liquors, squeezes and purees fresh fruit for their juices and creates specialty cocktails with silly names. They have many craft beers, high gravity beers and 3 rotating taps for the beer coinsurers. There are also a wide selection of Bourbons, liquors and sippers to choose from. The cuisine is on point. An eclectic selection of freshly made sharable small plates, perfect for a group to share. Healthy, vegetarian and gluten-free items are throughout the menu, making the need for 400 sit up’s tomorrow a choice instead of a need from dinner the night before. Salads, Pan-seared Ahi, Flat Breads, Assorted Cheese & Charcuterie boards and artistic small plates are a wonderful addition to the area. You will also find some heavier items such as their popular meat balls and 8oz Beef Short Ribs. Their Head Chef, Charm Wyrick, has created a unique food experience that rivals the large cities, but available here in Farragut. 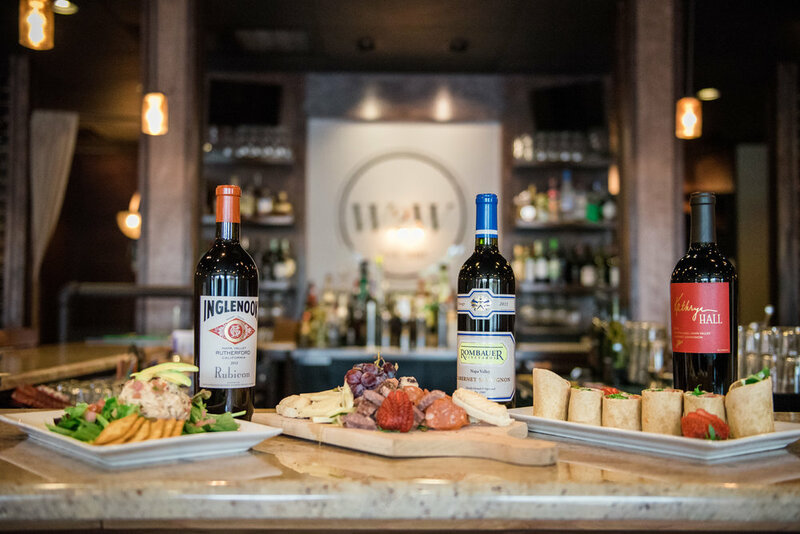 The wine selection will captivate your pallet and the fresh, healthy menu will excite your taste buds. Local entertainment and public events will always give you a fun reason to see the happenings going on in this little lounge. The attentive staff and passionate owner will take wonderful care of your evening and leave you wanting to come back next week for more. Location, concept and staff were key to the W2W business model being a success. The Gallery in Farragut was the perfect location to build an intimate, relational lounge. The space reminds you of an English Pub. 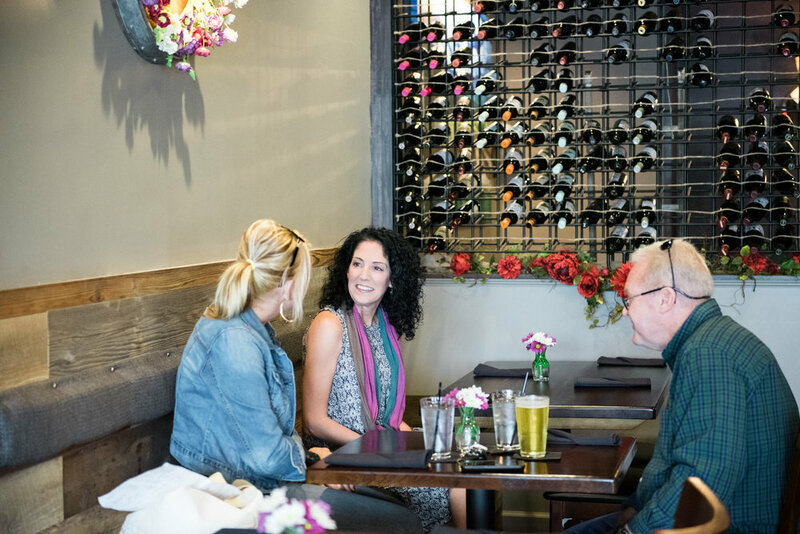 The decor is warm and inviting, conducive to small and large groups to hang out and chat. The music is soft, the tables all link together to accommodate parties, networking groups and employee luncheons. One of the first things you will notice is that there are NOT 20 TV’s in your face. The bar is designed in a horseshoe style on purpose. Candace, the owner, wanted people to cross connect and start up new friendships with other patrons. “I wanted to create a bar where everyone is welcome. A bar where a hurting person could come for a drink and get a smile and a hug. A safe place where you will be greeted and remembered the next time you come in. A “Farragut Cheers”, Candace explains. Even her bathrooms are unique and uplifting with inspirational quotes to make your day even brighter. You will find the couch lounges very cozy and a perfect place to start, spend or end your evening. But is W2W more than a bar? Yes! The calendar of events at W2W will intrigue you! Local acoustic artists and jazz fill the lounge every Wednesday and Saturday evenings. Candace loves supporting local small businesses as well. W2W hosts public events such as Sip & Pour, Wine & Canvas, Cabi clothing trunk shows, Rodan & Fields skin care clinics, Jewelry parties, the list goes on. But she doesn’t stop there. Private events and celebrations are also coordinated by her Event Coordinator, Tasha Horsley. Networking groups, book clubs, bridal showers, anniversary and birthday parties, even the occasional divorce party. All events are listed on their website and their Facebook page. Candace's, owner of Water Into Wine, story began in Southern California, where her parents adopted her at birth. She was raised in a very loving, Christian home and moved to Tennessee with her parents at 17. “California never left my soul” she explains. College, marriage and starting a family was the sequence she thought her life was supposed to take. “God has a sense of humor”, she claims. Her life had many hurdles which she says contributes to her strong, resilient spirit. Then one summer week, about eight years ago, she went back to her hometown while in Orange County, CA. Her lifelong friend, Kerrie, took her to a social lounge in Newport Beach called “The Wine Lab.” When you get to know Candace, you will learn that she doesn’t meet a stranger and before you knew it, she was chatting with the owners and received a private invite to visit their other location in Costa Mesa, CA. “I told my mom I had to bring this wine lounge concept to Knoxville,” but she didn’t quite know how. Candace’s dream never left her, as she explains “but sometimes dreams just take the right timing, planning, opportunity and a lot of prayer”. So, she went back to college, obtained her Hospitality, Culinary Arts & Restaurant Management Degrees. But she still didn’t feel the time was right. So, she reached out to her friend, Deron Little at Season’s in Farragut and began her year internship with him. After learning the business side, employee management side and Culinary aspects of the business, she believed she was ready! Looking back, she shares about how the past eight years flew by in a blink. “Eight years ago, I had an idea- a dream,” she explains. “I never imagined the events in my life would unfold the way that they did. Becoming a single parent to four teenagers, losing my mother and almost losing myself-to arrive at our one year opening celebration has been an amazing journey and a true blessing!” Her faith in God, the support of her children, friends and her W2W team helped make her dream a reality. She is genuinely grateful for everyone who supported her, and their pictures are proudly displayed in the lounge. W2W broke ground in January 2016 and opened May 10, 2016. They are celebrating their one year birthday with an amazing party May 10, 2017 and all of Knoxville is invited! “We hope to see you soon” as she raises her glass and says, “Cheers!"